Elevating the province’s entertainment industry. 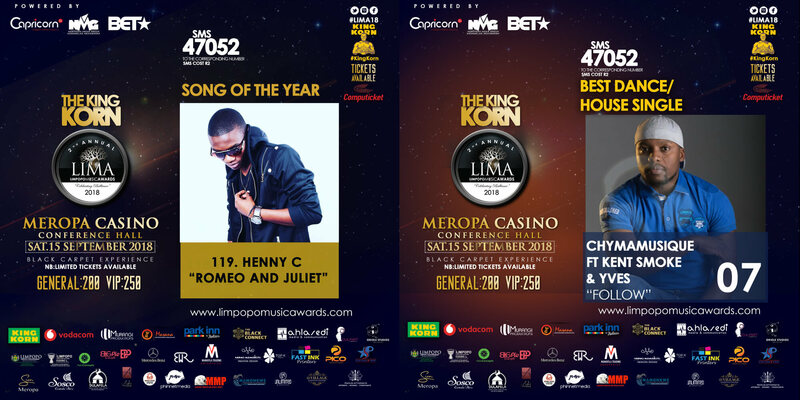 The King Korn 2nd Limpopo Music Awards (LIMA 18), brought to the people by Mahlasedi Media and Communications, celebrated its second success this past weekend. 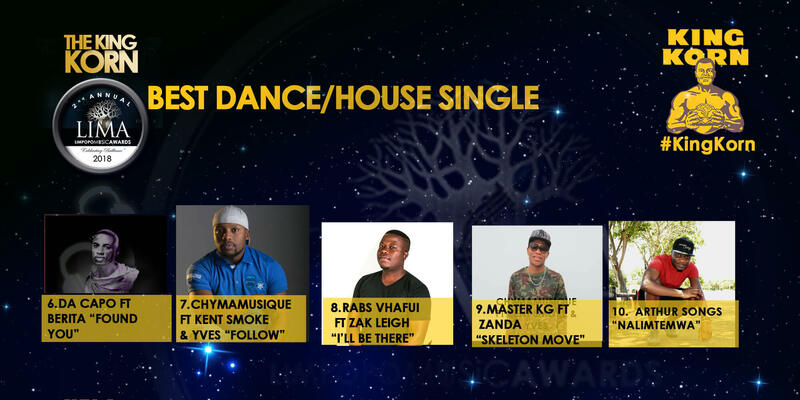 The sterling event that took place on Saturday, 15 September at Meropa Casino, hosted by presenters, Lethabo ‘LeJoy’ Mathatho and Kope “Tswyza” Makgai; left guests in awe with close to 150 talented artists from and around the Limpopo Province nominated in 24 categories, and an exciting lineup of performances. It was glitz and glamour at the black carpet with Mantikana Maraka, Gabriel ‘Gab Mapiano’ Mogashoa and Master Jay ushering in over 900 guests that attended this prestigious event. Amongst the guests was Honorable MEC for Department of Sports, Arts and Culture, Hon. Thandi Moraka, who humbly expressed her pride in the remarkable execution of the LIMAs; “we are going somewhere as a province”, said Moraka. MEC Thandi Moraka awarded Dr. Sello Galane with the ‘2018 Lifetime Achievers Award’. 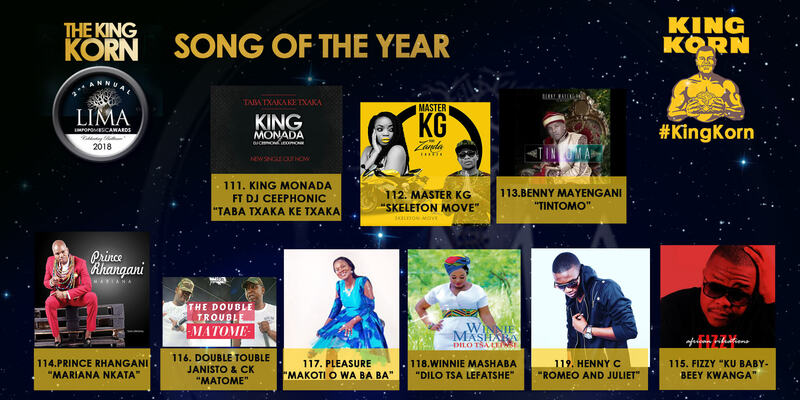 The CEO of Limpopo Music Awards, Fortune Maswanganyi AKA DJ Cappuccino indicated that the LIMAs are here to change the mindset of the people of Limpopo that for one to make it in the music industry must leave the province for the big city. Stay connected with us on social media and be part of the #LIMA18 conversation!